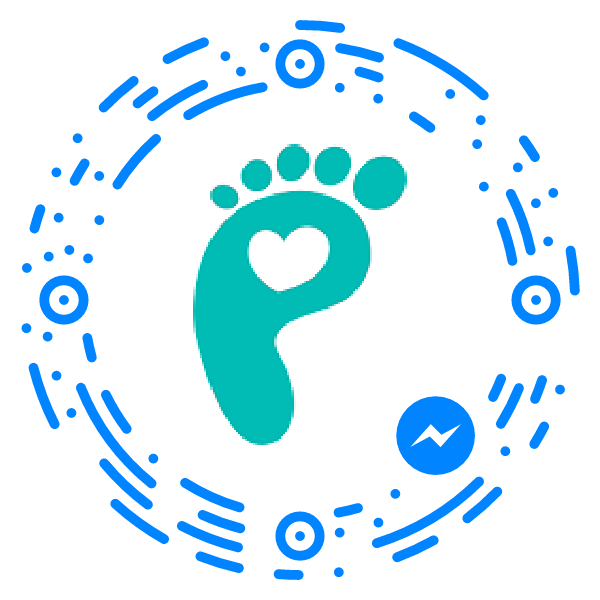 Our beautiful Hand/Footprint Charm is the perfect way to display the unique prints of your loved ones. With a classic design the charm is perfect for wearing every day and is available in a number of shapes. 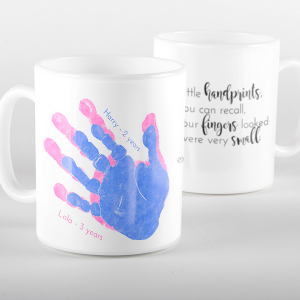 Our beautiful Hand/Footprint Charm is the perfect way to display the unique prints of your loved ones. With a classic design the charm is perfect for wearing every day and is available in a number of shapes. 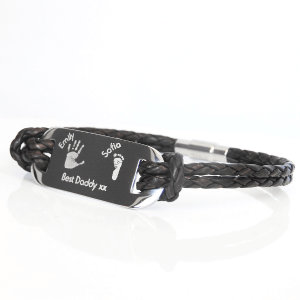 Each charm can be customised to fit a necklace or bracelet. 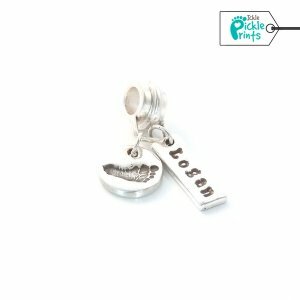 The front of the charm can be further personalised with a name to accompany the prints and the reverse can be hand engraved with a name, date or short message. 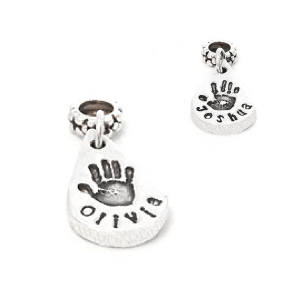 Made entirely by hand in our studio each charm is polished to a high shine and is sent beautifully gift wrapped. Medium & Large: Most suitable for wearing as a pendant and adding to an existing chain you may already have. 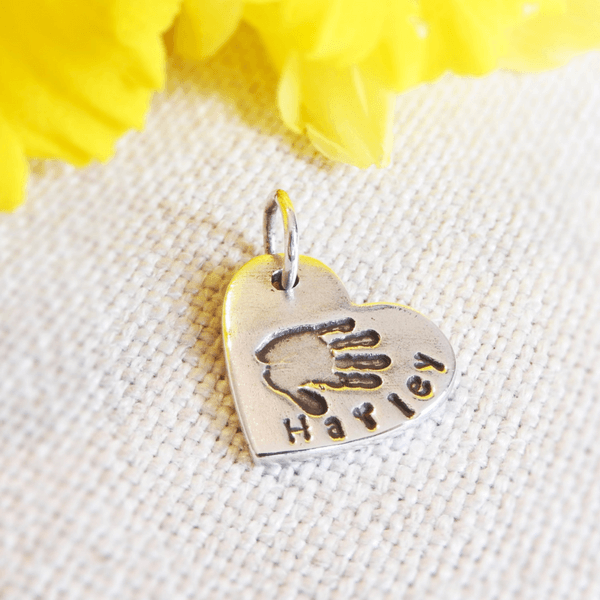 To order a charm as a complete pendant, including chain, please click here.